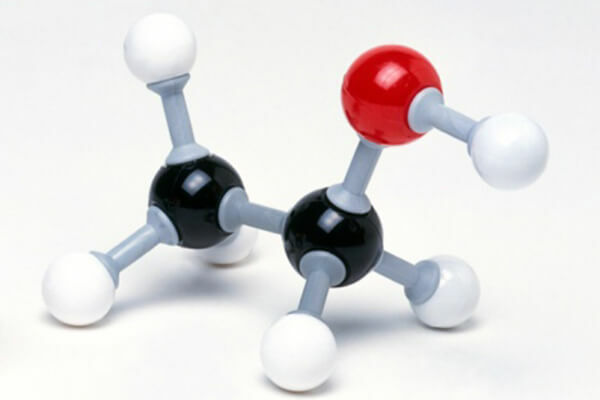 bioethanol process technology For Sale | Myande Group Co., Ltd.
1st generation bioethanol, also known as carbohydrate ethanol, can be produced from sugar or starch based crops. Bioethanol is mostly used in transport applications. It is mixed with gasoline in proportions varying from 5 to 85%. The lower blends are compatible with conventional gasoline engines. Blends above 10% ethanol content are only suitable for use in modified engines. The least complicated way to produce ethanol is to use biomass that contains so-called six-carbon sugars that can be fermented directly to ethanol. 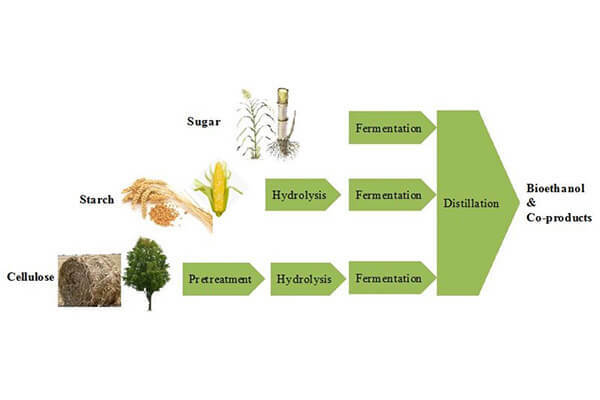 If producing ethanol from starch-based crops another processing step is required. This conversion route starts by grinding up the feedstock to extract the sugar, which is then added to yeast for the fermentation process. In a closed anaerobic chamber, the yeast secretes enzymes that digest the sugar, yielding several products, including lactic acid, hydrogen, carbon dioxide and ethanol (WWI, 2007). The most common feedstocks include sugarcane, sugar beet, sweet sorghum and other plants containing a large proportion of simple sugars. Producing ethanol from starch-based crops requires another step in the process called saccharification, which entails breaking the large starch molecules into simpler sugars. There are two main methods for refining starches into sugars, primarily differing in the pre-treatment of feedstock. In the “wet milling” process the grains are soaked in water, usually with sulphurous acid, to separate the starch-rich endosperm from the high-protein germ and high-fibre husks. 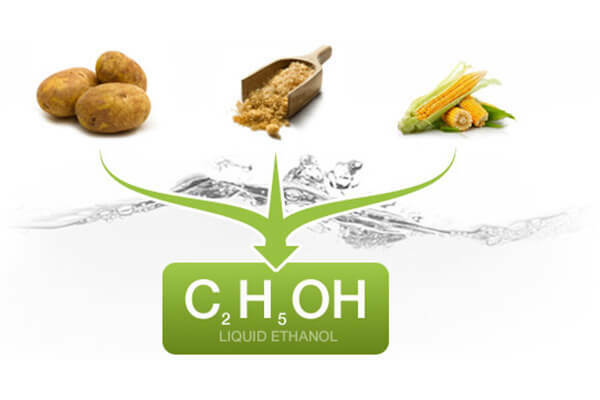 In addition to ethanol, the process results in a number of high-value co-products, such as grain oil, gluten feed, germ meal, starches, dextrin and sweeteners.